Looking for a Keratoconus treatment that will let you read without glasses? Dr. Barry Leonard is a Keratoconus specialist who has helped thousands of Keratoconus patients. Do you have Keratoconus? 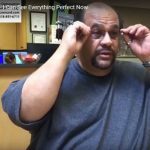 Here at Dr. Leonard and Associates where we specialize in Keratoconus treatments that will let you read without glasses, we provide personal quality eye care to the community since 1957. 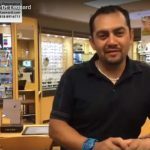 If you need Eyecare in Panorama City, Van Nuys, North Hollywood, Northridge, Granada Hills or anywhere in the San Fernando Valley, Los Angeles or Southern California, call us at 818-891-6711 or make an appointment online today.